Avraham Fried concluded a decade and a half by releasing a 3 CD Collection which will feature 30 outstanding songs from over the past decade including; “Aleh Katan“, and “Galei” which have never before been officially recorded. The collection hit stores in Israel two years ago and now is FINALLY available in stores throughout the US through Jewish music distributor Sameach music. What do the songs “Ani Choshev Aleichem”, “Aleh Katan”, “Moriah” and “Rak tefilla” have in common? These songs were all performed by world renowned Chassidic singer Avraham Fried on multiple stages for many occasions, but they have NEVER been included in an Avraham Fried album. 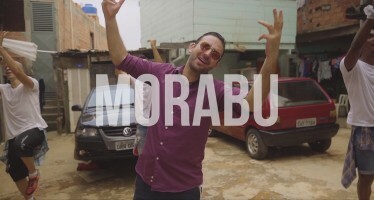 A few of the songs were widely publicized and/or sold previously as singles, while others were included on albums from other artists. 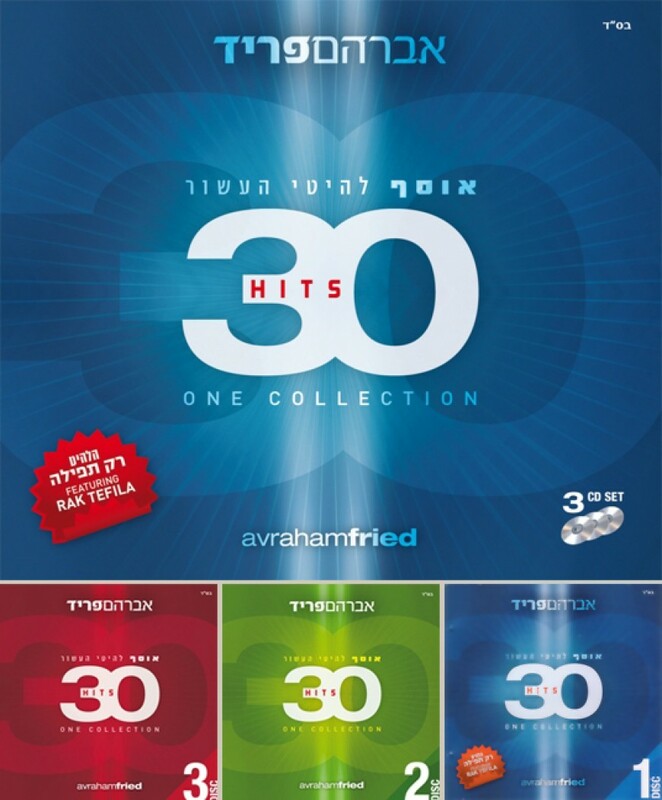 These three disks of the Avraham Fried 30 Hits Collection include 30 outstanding songs from the last decade and a half. The collection does not include the songs from Avremels first few album, rather it focuses on songs like “L’Binyomin“, “Dido Bei“, ‘Tanya’, ‘Hupp Cossack’, ‘Hessech Haddas’, ‘Matzliach Moshiach,’ Chazak ‘,’Mah Yedidus’ and many more making it the most current collection. Choosing songs for this collection was not easy task, in the last decade alone Avraham Fried released no less than seven albums including; Hupp Cossack, The Baal Shem Tov’s Nigun, Bein Kach U’bein Kach, My Fellow Jew, Yankel Yankel and more. Nearly a hundred new songs were created for Avraham Fried in the last decade, however, not all could be be included in this one time collection. Songs like “Rak Tefila”, “Ani Choshev Aleichem”, “Aleh Katan”,’ What will reply, ‘teachers’, ‘Discover’ and the song ‘Tanya’ featuring a special performance with Cantor Yitzchak Meir Helfgot, are now official compilation album of created by Avraham Fried and Israel’s largest Jewish music distributors Greentech. 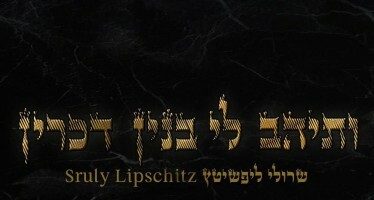 Now its in stores throughout the US and available online through Sameach Music and heir website JewishJukebox.com. Well it’s about time. I bought it during a trip in Israel 4 years ago.